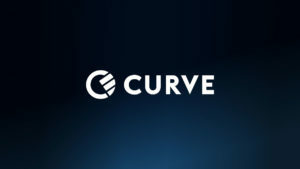 Curve, the fintech startup that reinvented the card and lets you combine all your cards into one Curve smartcard, has successfully developed the first ever augmented reality (AR) payment technology. A video shows how the feature operates in real life, and it’s fantastic. Dubbed “Project X” within Curve office walls, and developed by a discreet engineering team, the technology represents a breakthrough in the real-life use case of AR. This innovative technology will allow Curve’s customers to pay at a shop without needing to get out any physical card, not even their Curve card – a groundbreaking next step in Curve’s mission to ‘Free Your Money’. That means that customers can pay at the till without getting up from their chair, just as long as they can see the POS Terminal. The feature is not being released to customers just yet, as at this stage it is a proof of concept. But once released, it surely represents a step-up in payments innovation, towards a seamless checkout experience.